[Satnews] Comtech Xicom Technology, Inc. has completed their initial installation and full operation of the firm's new family of very high power SuperCool™ traveling wave tube amplifiers (TWTAs). This family of amplifiers has many practical advantages over traditional air-cooled amplifiers. Customers enjoy the following benefits: reduced heat load in hubs with flexible and more compact installation; ease of service and maintenance; higher reliability; ambient noise reduction; and gain stability over ambient temperature. The new Comtech Xicom design incorporates integrated cooling channels in the amplifier baseplate, external to the sealed high voltage and RF circuitry compartment, with drip-free connections. Elimination of the need for air flow provision dramatically simplifies hub layout and design, and provides more space for maintenance operations and additional equipment. 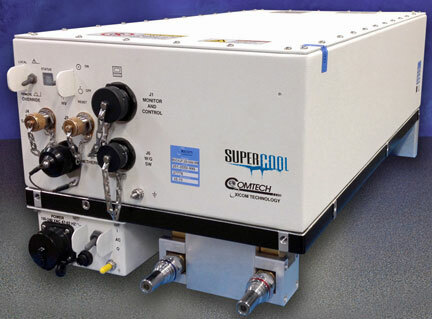 Liquid cooling is available across the high-power end of the amplifier product line, including: the SuperPower™ 2000W Ku-band and 1500W DBS-band products; the 1250W Ku-band product, all 750W products, and the 500W and 250W Ka-band amplifiers. Reference cooling systems have been developed, and Comtech Xicom engineers are available to assist customers understand and specify liquid cooling systems that are the ideal solution for their SATCOM uplink requirements. Data sheets are available at Xicom's website. Customers can see a live demonstration at the Xicom booth#1401 during SATELLITE 2016 show.